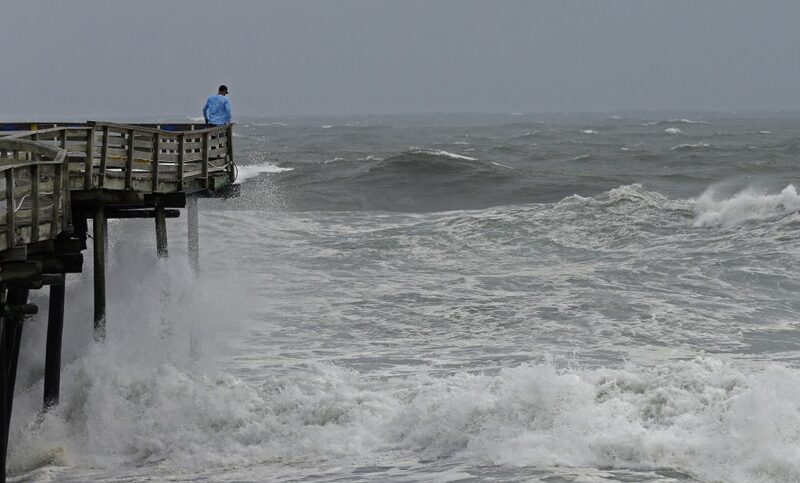 Coastal North Carolina felt the first bite of Hurricane Florence on Thursday as winds began to rise, a prelude to the slow-moving tempest that forecasters warned would cause catastrophic flooding across a wide swath of the southeast. 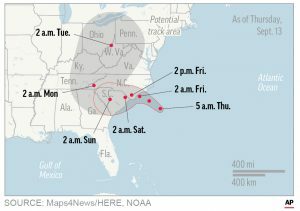 The center of Florence, no longer classified as a major hurricane but a grave threat to life and property, is expected to hit North Carolina’s southern coast Friday, then drift southwest before moving inland on Saturday, enough time to drop as much as 40 inches of rain, according to the National Hurricane Center. Florence’s maximum sustained winds were clocked on Thursday at 110 miles per hour after it was downgraded to a Category 2 on the five-step Saffir-Simpson scale, according to the NHC. 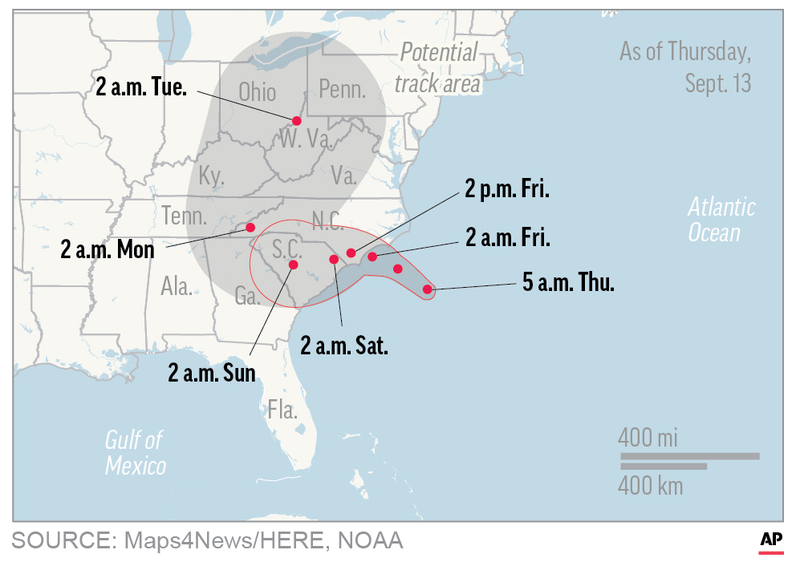 The storm’s center was about 165 miles east of Wilmington, North Carolina, at 9 a.m. EDT but tropical storm-strength winds and heavy rains already were hitting North Carolina’s Outer Banks barrier islands. Florence could bring wind-driven storm surges of seawater as high as 13 feet and NHC Director Ken Graham said on social media they could push in as far as 2 miles. Heavy rains were forecast to extend into the Appalachians, affecting parts of Alabama, Tennessee, Kentucky and West Virginia.